Keep Left, a great poetry gig that celebrated left-wing poetry in Melbourne, run by Paulie ran monthly for most of the second half of 2012. I was lucky enough to be the first ever feature. It was an ambitious gig with a real identity and had promise, but sadly ceased to be toward the end of last year. I’ve decided to revive the gig starting in June, with the help of other progressive poets. 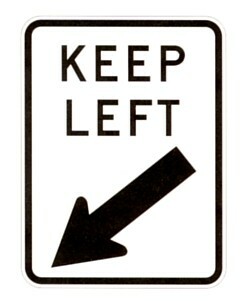 The home of Keep Left will now be at the Activist Arts Hub, Under the Hammer, a space for left-wing artists. The first gig will feature Maxine Beneba Clarke on Saturday, June 22 from around 8pm. We will be trying a few new things with the gig and with the support of MelbourneSpokenWord.com, we are hoping to use the gig to promote left-wing ideas within poetry in Melbourne, but also to promote poetry and spoken word to the wider left. We think that poetry and creative writing has a value in articulating what is wrong with the world we live in and a vision for a new one. We’re going to try around with different days and times, trying to avoid clashes with other major poetry gigs in the city, as well as trying out themed open mics and linking some months to social campaigns. We’re hoping some of the ideas tested through our project might provide other events with ideas for new ways to advance poetry in Melbourne. I’ve ran the Percy Shelly Slam twice, alongside Santo Cazzati, but this will be my first time running a regular gig. I know it’s a lot of work, which is why I’ve asked others to support me in booking features, consulting over dates, promoting and MCing on the night. I think this will be a valuable experiment for Melbourne Spoken Word and the experience can feed into the website and how we build the community as a whole. I know Paulie faced many challenges with the first incarnation, in organising it around other gigs and generally getting the word out about it.